Colombia’s chief prosecutor told local media that FARC ideologue “Jesus Santrich” is the only leading former guerrilla leader who is investigated on drug trafficking charges. 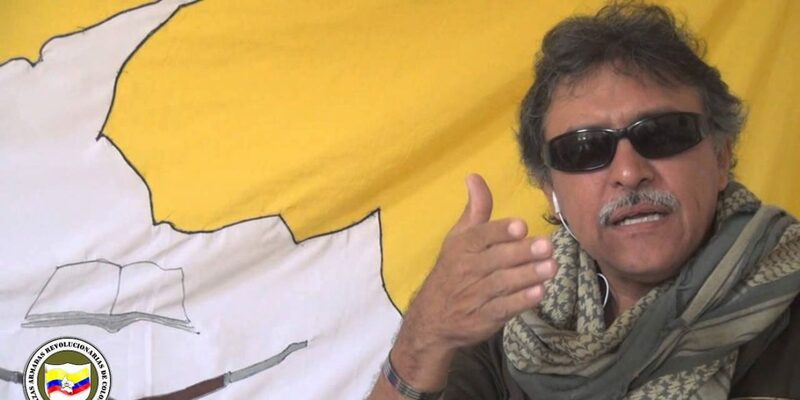 Santrich was arrested last week after the United States issued an international arrest warrant, claiming that the senior member of the former guerrillas’ political party took part in an attempt to export 10 tons of cocaine. However, Prosecutor General Nestor Humberto Martinez told television network Caracol that his office only began investigating Santrich after he appeared in the wiretaps of alleged drug trafficker Marlon Marin. Nobody was following Santrich’s lead. Suspicions arose in the middle of last year when the Prosecutor General’s Office set out to investigate the integrity of peace resources and Marlon Marin’s communications were intercepted. They start talking about very strange business, which ended up being drug trafficking. The chief prosecutor “absolutely and categorically” denied that other top members of the Marxist political party are involved in the ongoing investigation. The investigation of Santrich “is what we have and what we show the country, also to avoid speculations,” Martinez told Caracol. As long as the Peace Agreement is complied with, everyone can rest assured that the Prosecutor General’s Office will guarantee their rights in the process. As part of a 2016 peace deal, the FARC vowed to abandon all criminal activity that financed the organization for decades. In return, the rebels were allowed to take part in politics and were guaranteed seats in Congress for two terms. Santrich allegedly violated the terms of the peace deal that shielded him from extradition by involving himself in a drug deal after the peace deal was signed in November 2016. FARC vs DEA: what’s next? The transitional justice system that was put in place to investigate the FARC and members of the military over war crimes is currently studying the prosecution’s evidence. If the war crimes tribunal agrees with the prosecution that Santrich violated the terms, he can be extradited to the United States where he was indicted.